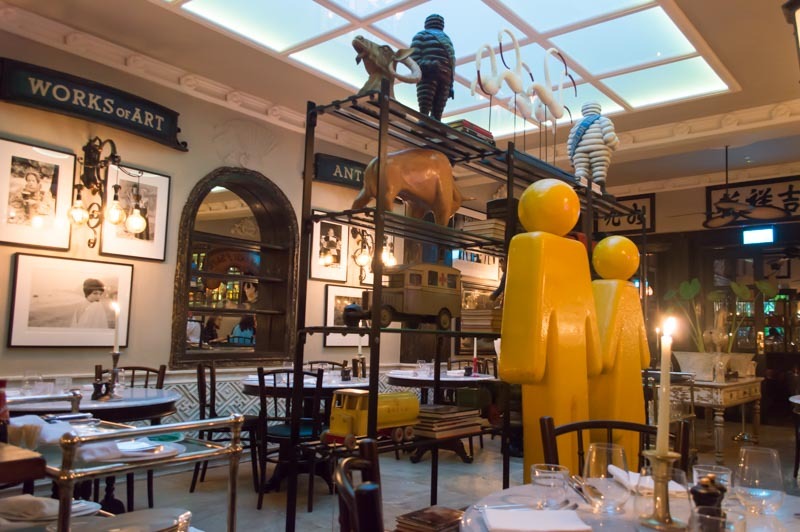 Celebrity Chef Marco Pierre White has recently opened his first establishment in Singapore, serving up English comfort food with a modern twist. 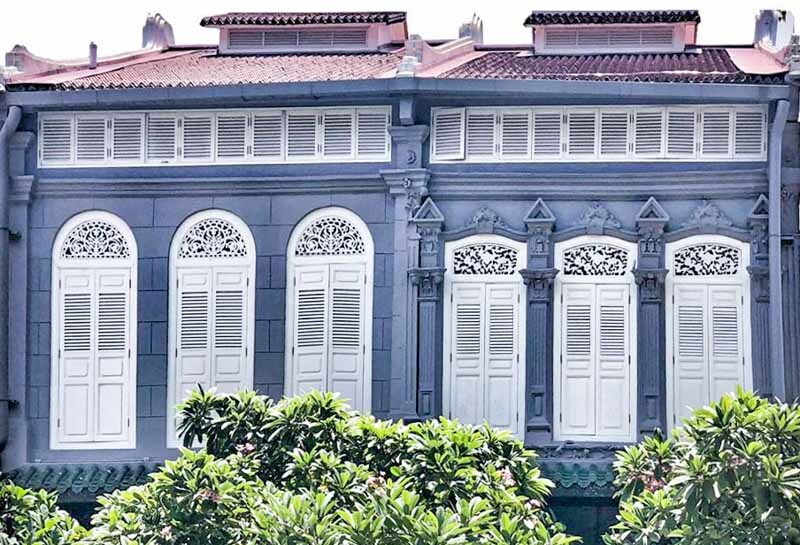 Located along Mohamed Sultan Road near Fort Canning, The English House occupies two adjacent colonial shophouses. Upon arrival, I was first greeted by the doormen, who previously worked at Raffles Hotel. Some diners might even recognise one of them, who appeared in the movie Crazy Rich Asians. The tropical plants along the front door made it seem like it was a passage to Narnia. Entering the restaurant felt like we stepped back in time, to when they used candles instead of electric lights. We noticed the familiar kopitiam-style chairs and tables, which were inspired by Chef Marco’s favourite chicken rice store. The walls of The English House also displays the largest collection of English photographer Terry O’Neill’s work. 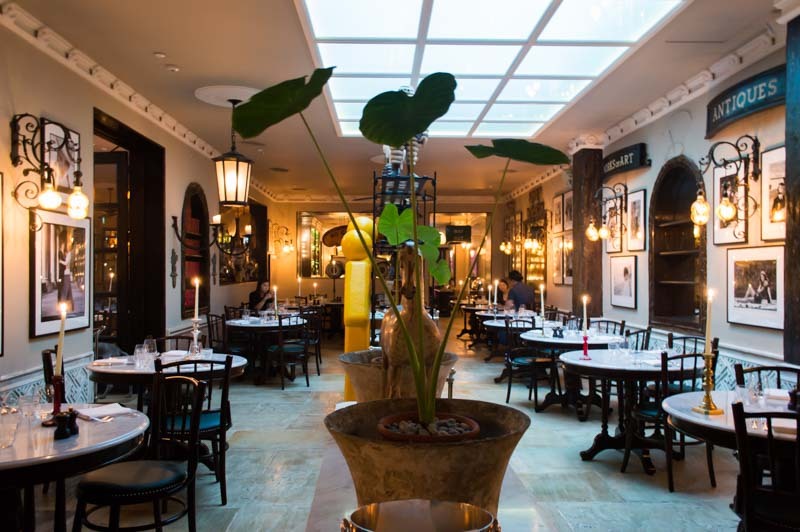 The English House is split into two sections: the front is the dining area and at the back is a Gin Bar. There is also a private dining room featuring a dining table, which was previously from the Rolls Royce boardroom. After finding our way to the table, we started on our English food journey with canapés. We tried the Quails Scotch Egg (S$6 per piece). The perfectly cooked soft-boiled egg had a slightly runny yolk, which balanced out the herb-infused meat that was surrounding the egg. I could distinctly taste the thyme used in the marinade, though it wasn’t overpowering because the breaded batter and soft-boiled egg complemented it really well. 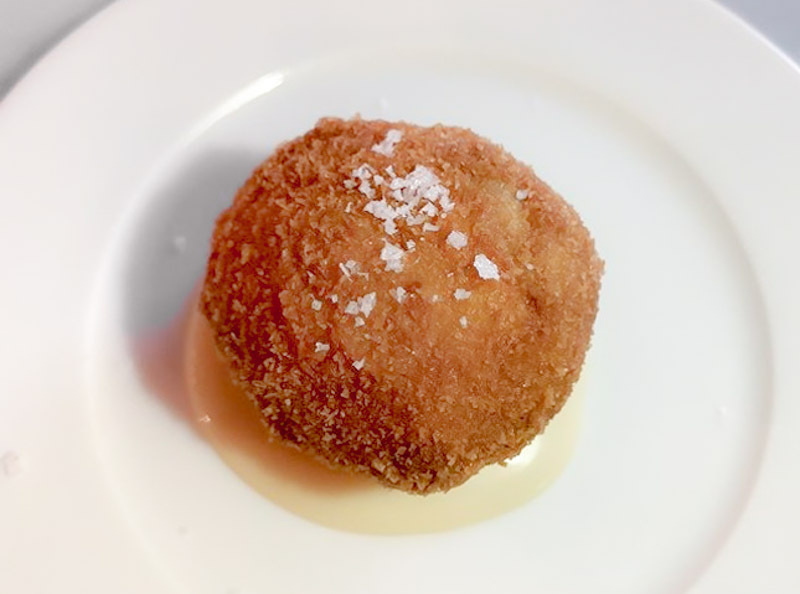 The dish came with a garlic and onion sauce, which enhanced the flavour of the scotch egg. The other canapé we had was the Croquet of English Turbot (S$7.50 per piece). This was my favourite out of the two as it was filled with a sweet flavour. 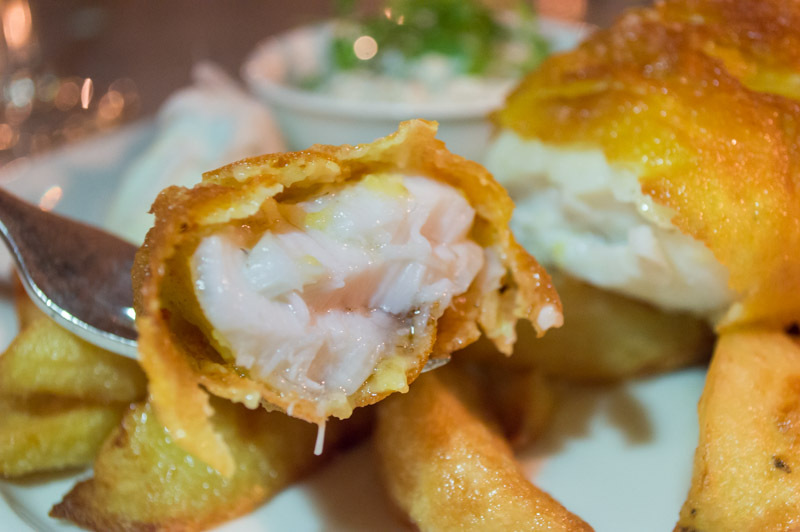 The salty and crispy batter was wrapped around a smooth mixture of mashed potato and fish. 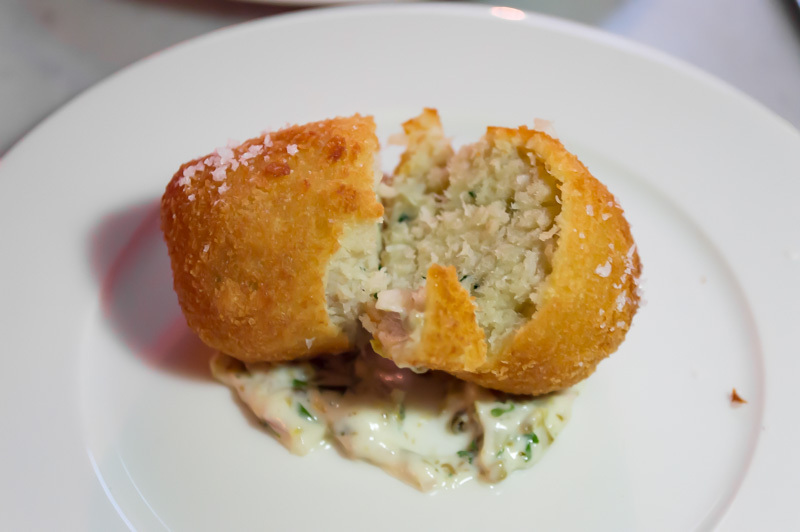 It came with chunky tartare sauce which thankfully did not overpower the aroma of the croquette. We loved it so much that we cleaned our plate in two bites. Everyone associates England with fish and chips, so we had to try their Fried Fillet of English Turbot (S$98). Keeping with the Northern tradition, this dish came with a side of mushy marrowfat peas. Steamed and then cooked twice in beef fats, the chunky chips had a slight meaty aroma while the potato within stayed sweet and fluffy. After squeezing lemon juice on the battered fish, we tried it with some malt vinegar. The first bite of fish brought back memories of winter in England, sitting by the seaside in a car with a box of fish and chips. The English House’s fried turbot came with a whopping price tag, which was a bit too pricey. The first bite and the fish practically melted onto my tongue. The flaky fish also broke apart easily in full slices, making it bite-sized and easier to eat. Although it was seasoned lightly with salt, most of the flavour came from the malt vinegar drizzled on it. The home-made tartare sauce that came with the dish had fresh parsley and tangy lemon sauce, which made it very refreshing. We also tried the Grilled Delmonico Steak of Black Angus (S$145), which serves two. 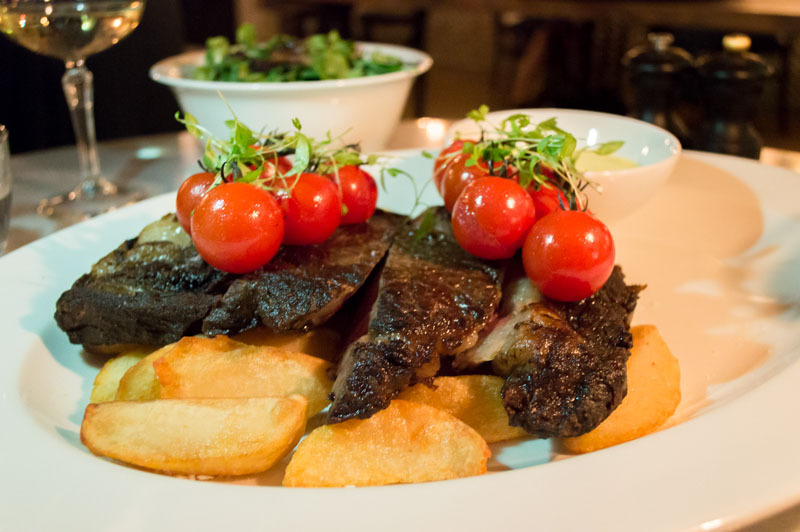 The English House served their steak medium rare with beef fat chips, roasted tomatoes and a green salad with truffle vinaigrette. Even though the meat was medium rare, it was a little too tough for me. By itself, the steak was not as impressive as I thought a 45-day dry aged meat would taste. I expected the meat to be packed with juice dripping out from the meat, in reality, it was dry and it took a few extra bites to fully devour it. 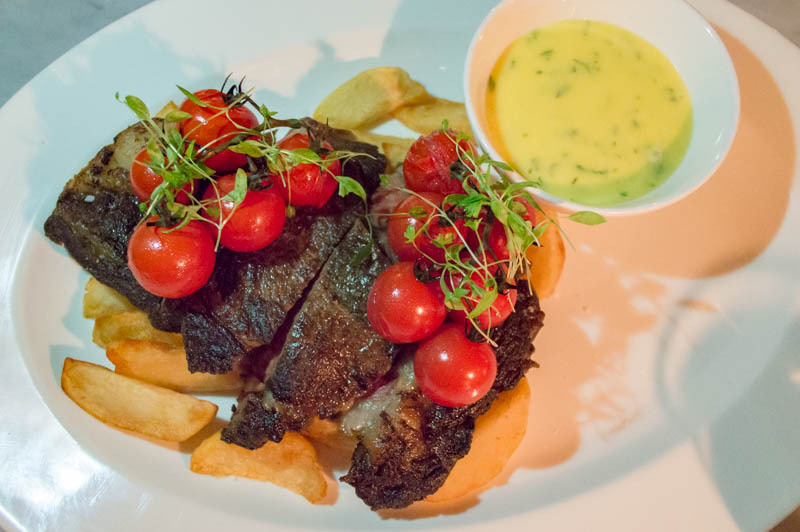 However, with the addition of the Béarnaise sauce made with a combination of egg yolk, clarified butter and white wine vinegar, it provided a creamier and tangy taste to the meat. Even though this went really well with the meat, it was a bit too rich. The best part of the dish is the roasted tomato that came on top of the beef. As I placed it in my mouth, it filled my mouth with sweet tomato juice. It’s super addictive and refreshes the palate. The English House is a good place for date night with its warm ambience and posh English comfort food. 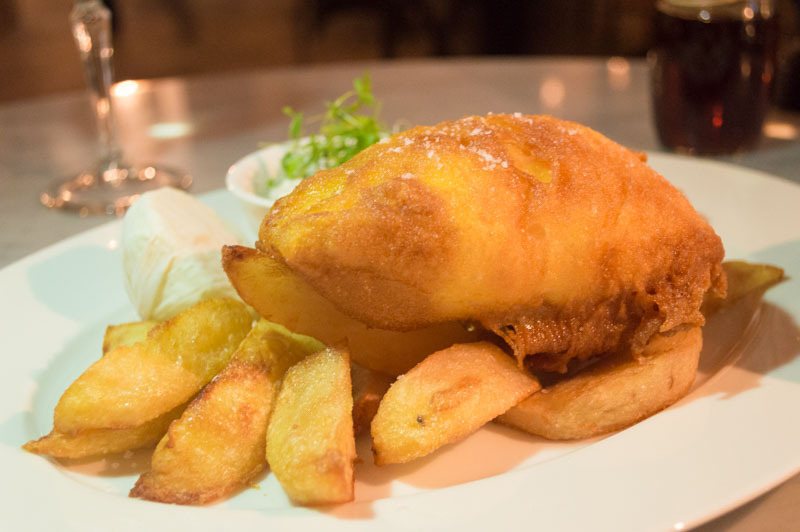 However, like its exorbitant S$98 fish and chips, the restaurant should adjust its price tag downwards; there are other places in Singapore which could serve similar comfort foods at a lower budget.